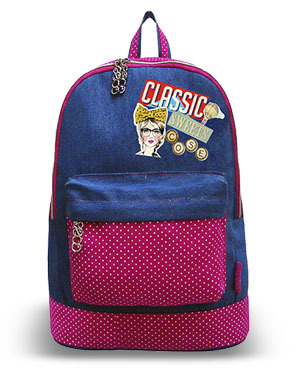 Cose’ (pronounced as Co-sei) is one of the most recognized brand specializing in trendy teens bags targeted at girls between the age of 12-20 years old. Cosé Teens Bag is fun, hip, charming and fresh – perfect for the fashionable yet price-conscious girl. Cosé lets you relish the fun and power of being a girl with a wide range of handbags and backpacks, that are effortlessly stylish, colorful, and fun as well as practical and durable enough for even the most active individual. Cosé tailor fits the brand to girls’ unique lifestyle proudly represented by unique style and colors.We offer limitless style that changes with the seasons to ensure you are always in tune with today’s trends. Fun fashion and function inspires the brand for continuous product development, affordability and unparallel customer service.